Being an entrepreneur can take you on a wild rollercoaster ride of ups and downs. It’s during those dips when you look for any and all inspiration to keep on going. You’ve probably been there. I know I have. It seems to happen every year. That’s why I’d like to take some time to applaud all of the innovative, entrepreneurial figures who have moved the country, the world, and me, forward in 2017. These are the icons who have showed us what it means to think outside the box, to take risks, to trust in the process, and to commit to the journey no matter how wild the ride. After quitting Tinder—where she sued for sexual harassment—Herd went on to build billion-dollar Bumble. Over cocktails with her new business colleagues one night, Herd stumbled across the formula for the now-viral dating sensation. “I always wanted to have a scenario where the guy didn’t have my number but I had his,” she said.” She conceived of an app that gave the ladies the opportunity to message first. If the gent didn’t respond in 24 hours, however, the message would disappear. Herd understood something about the dating app scene—she knew that it had been dominated by the male perspective for years. And now with the highest market share of 18-29 year-olds in the dating app sphere (46% of whom are female), Bumble is proof positive that Herd was smart enough to see a need—and deliver. What is Goop, you ask? Ostentatiously priced goods and questionable advice (jade eggs alongside Tracy Anderson workouts?) mixed with actual high-quality content. Despite these oddities, the ageless Gwenyth Paltrow has cornered the market on the wellness industrial complex. And sure, you can laugh a little when she talks about her insane dietary regimen of edamame and goat’s milk, but she’s impervious to criticism. In fact, she’s built an empire on alternative health advice and people are eating it up. I mean, 1.8 million monthly readers must mean something, right? It does. Which is what Atlantic writer Olga Khazan gets to in her evaluation of Paltrow’s dubious health claims and eccentric products. Her reasons why Goop is soaring: 1) the health industry is booming; 2) people want to be their own fact-checkers and build their own favored sources of news and information; and 3) Goop is just fun to read (and deliciously off-the-wall). Neil Strauss gets to the meat of it in his recent Rolling Stones article, painting Musk as the “architect of tomorrow.” Perhaps most impressive about Musk, votes Strauss, is that Musk is not just ambitious—dreaming of high-speed transportation, universal sustainable energy, and mind-computer interfaces—but that his ambition has legs. Cases in point: He turned the automative industry on its head with the all-electronic Tesla. He revolutionized rocketry with reusable SpaceX rockets. In other words, he enters industries with a singular creative aggression and makes the best products they have ever seen. How many CEOs are that open? Yes, Jeff Bezos is a household name; and yes, Amazon is undeniably a retail behemoth with reach rivaling Google; and yes, the company’s acquisition of Whole Foods in 2017 was another stripe on the sleeve of the $100 billion man. But while most view Bezos as an empire-builder—often in the negative sense—the roots of his success run deep. So discovered Angel Investor Li Jiang when he sat down to read all of Bezos’ letters to shareholders. Jiang calls out a theme in Bezos leadership most of us miss: Since day one, Amazon has been customer-obsessed with a skeptical view of proxies, an eagerness to adopt external trends, and a commitment to high-velocity decision-making. There’s a reason Amazon has been so successful, and most of it has to do with how Bezos has built a team of passionate, committed, talented team members. Russian-born Vitalik Buterin is on the cusp of something big—and has been since he learned about Bitcoin at the age of 19 and Recommended Website : exchange24 /. The accomplished computer scientist was co-founder of Bitcoin Magazine back in 2011, writing extensively about the digital-only currency, before launching a new digital currency which he called Ethereum. While the digital currency market is still in flux (and shrouded in mystery), Buterin understood Bitcoin well enough to know that “miners” (or transaction processors) were dependent on the speed of their transactions for success. In other words, those who processed payments faster got more money. In order to create a level playing field, he developed Ethereum—based on a decentralized, open-source virtual machine that handles the processing. Much like Bitcoin, the value of Ethereum currency is soaring—from $10 to more than $450 over the course of a year. Sounds like Buterin is a billionaire in the making. As the role of genetics in medicine advances, more and more people are curious about their genetic makeup and inherited traits. For many years, however, the only opportunity to secure such information was in a lab (at extremely high cost)—until Anne Wojcicki democratized the process with 23andMe. Wojcicki is an achiever of the highest sort—earning a degree from Yale and conducting research at UC San Diego. Her career started in health care investments, but she quickly became disillusioned with the culture of profit-chasing and Wall Street. The result: Independent, dedicated research that led to the launch of a personal genomics company. The simplicity of the DNA tests at 23andMe—a simple saliva sample shipped easily by mail—makes the company a trailblazer for consumers interested in learning more about their own genetic makeup. And what are users doing with all of that information? Athletes use it to develop customized training programs. Chronic pain-sufferers use it to uncover conditions like lactose or wheat intolerance. And adopted adults use it to find their birth family. Another protein bar company? Yep. But Tom Bilyeu’s goal at the outset was not to cram a bunch of artificial vitamins and minerals into a compact bar and call it a day. The whole premise of Quest was to create something desirable (made largely by hand) that would deliver the protein needed for any diet. The company’s first flavors struck a delicious chord: Vanilla Almond Crunch and Peanut Butter Supreme. There was something to Bilyeu’s simple formula. The company grew by 57,000% in the first three years and boasted revenue of over $82 million. But there’s more to Bilyeu’s motivating energy. Yes, he says, he wants Quest bars to taste good, but he also aims to end metabolic disease. Ambitious? Maybe. But at this rate, Quest Bars will be delivering that promise to millions all over the world by 2020. Akin to trail-blazer Anne Wojcicki, Venter is aiming to give everyone access to “data-driven health intelligence.” What sets Venter’s HL apart from 23andMe is its massive database of data—the world’s largest collection of sequenced genomes and phenotypic information. The purpose? Allowing doctors and scientists to examine individuals’ DNA against this backdrop of trends and traits to determine proactive—not reactive—medical strategies. Is this too much for the public to digest? Maybe. But the desire to control one’s own health is strong enough to push Human Longevity to the forefront of medical technology companies in the coming years. Full confession: The next two inspirational business leaders are close friends, business partners, and personal business coaches of mine. But the reason I chose them to help me build Early to Rise is because their success is astounding. Matt Smith has been an online entrepreneur even longer than I have, and he’s seen his shares of highs and lows—from going broke in the dot-com crash to building a multiple seven-figure business that required just a few hours of his time each month. He’s also been the CEO of a company with over 250 employees, but he left that role to pursue his latest opportunity. Today, Matt leads Royalty Exchange (RE), a company that is changing the game in the music industry. Founded in 2011, the original version of this company went bankrupt, and that’s where Matt took over. He and his team have rebuilt the company to help artists control their financial future by connecting them to private investors interested in buying royalties. Using an open online marketplace, RE delivers clear, undiluted value to both investors and artists. RE’s interest is in maintaining a healthy exchange, precisely because they have no role in the investments themselves—their profit comes from trusted exchanges that grow over time. RE is turning a once-corrupted industry into a profitable venture for both creatives and savvy investors. Also, who wouldn’t enjoy the bragging rights that come along with owning a piece of a Jimi Hendrix tune or Eminem song? In 2008, Bedros launched Fit Body Boot Camp with three goals in mind: to create franchise outlets with turn-key systems, done-for-you marketing, and ongoing support. But perhaps the most impressive part of his success is his true rags-to-riches story. Bedros and his family fled communism and the Soviet Union in 1980 and emigrated to America in 1980 (legally, too, as his father insists that everyone knows). From there, Bedros and his family of five led a hard-scrabble life for the next decade, living in one-bedroom apartments, dumpster diving for food, and working multiple jobs to create a better future. Ultimately, Bedros did just that, and his passion and persistence remind us of what’s possible when we commit to our path and do the work—no matter how tough some days might feel. And because I have the good fortune to work alongside him nearly every day, his wisdom and experience show me the path to success even when I’m going through an entrepreneurial dip. Once you accept how much effort, honesty, responsibility, long-range planning, creativity, intensity, discipline, thought, and control the process is going to take, it becomes simple. You just do the work and follow the path laid out by your mentors and other trailblazers. It is not easy—but it is SIMPLE. Only once you accept this premise will you succeed. 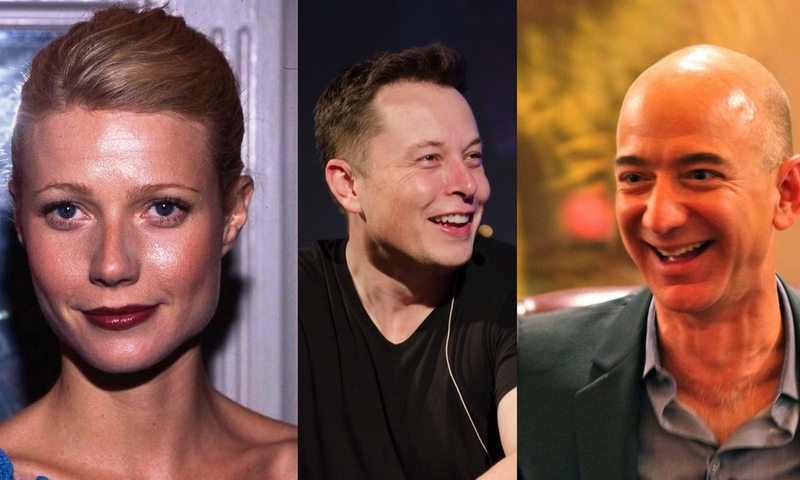 And these 10 entrepreneurs are proof of that. For the foundations of success, you need routines. And once you have routines, you need the discipline to maintain them. But when you do—having defined your biggest goals and the path to achieve them—you will be successful. 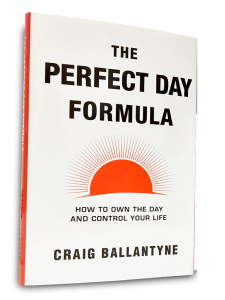 “The Perfect Day Formula” will help you build the path to craft your own Perfect Life. Get your FREE copy now.